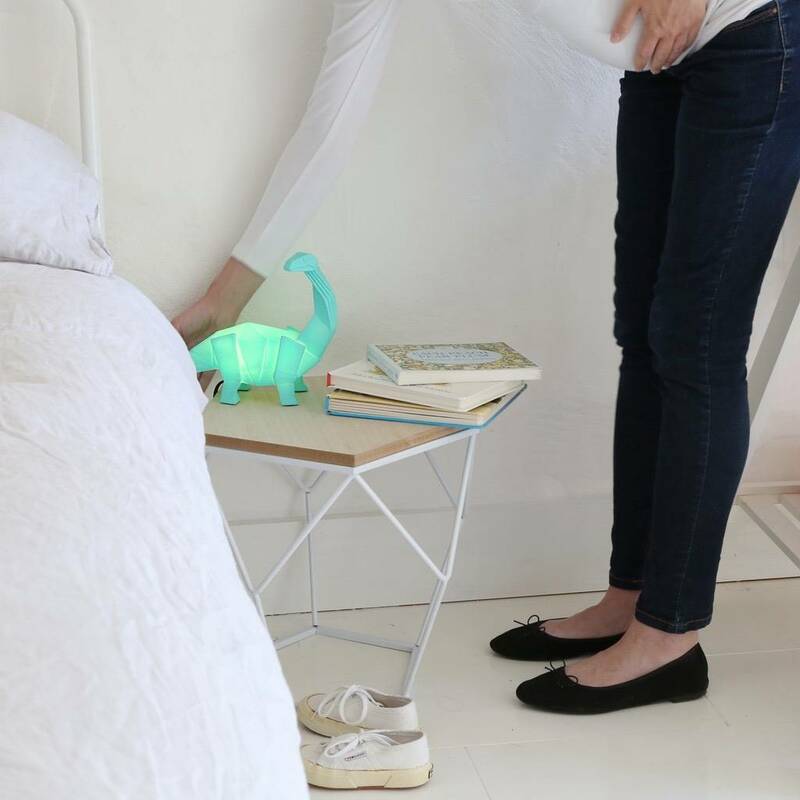 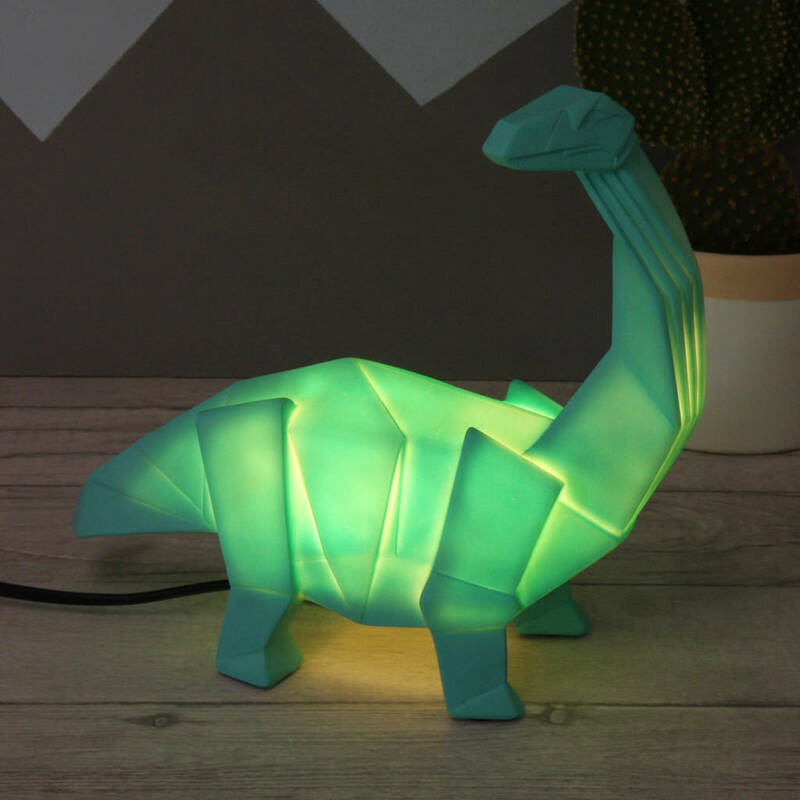 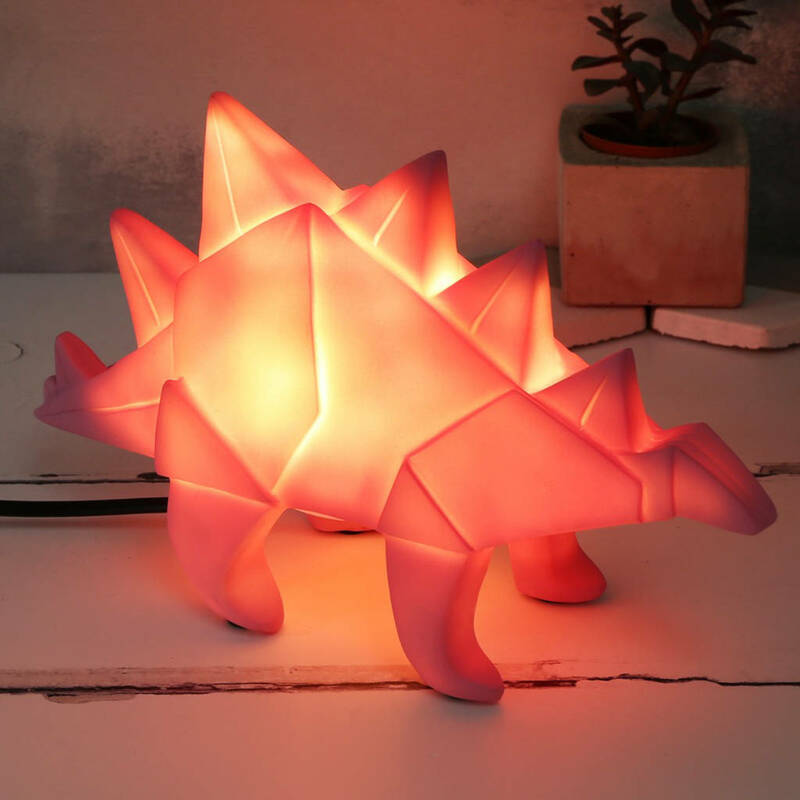 A super fun light up lamp, in a range of awesome dinaosaur shapes. 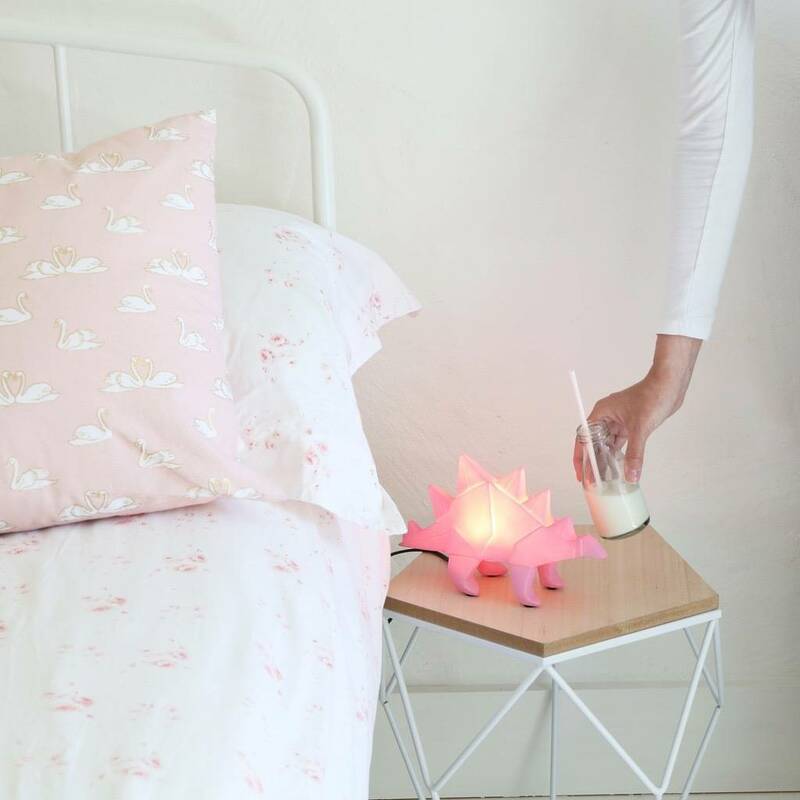 From the Disaster Designs Nordiakka range at Lisa Angel. 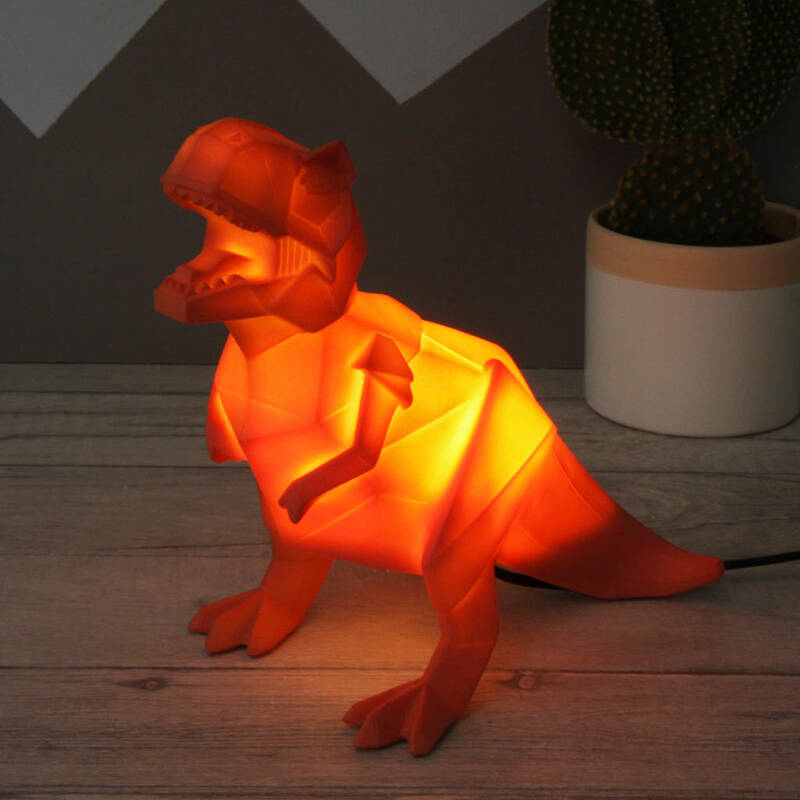 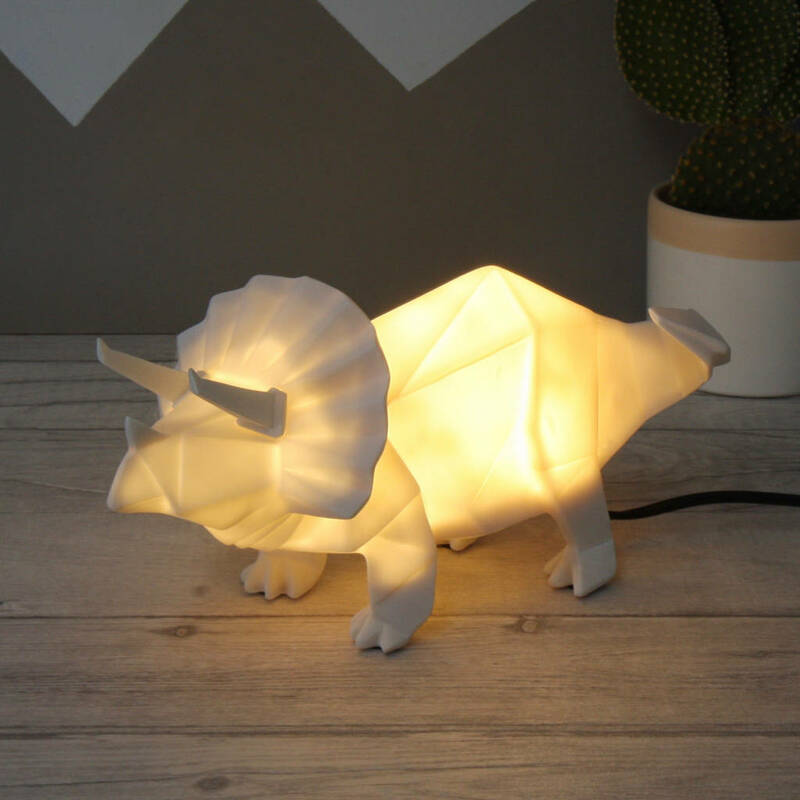 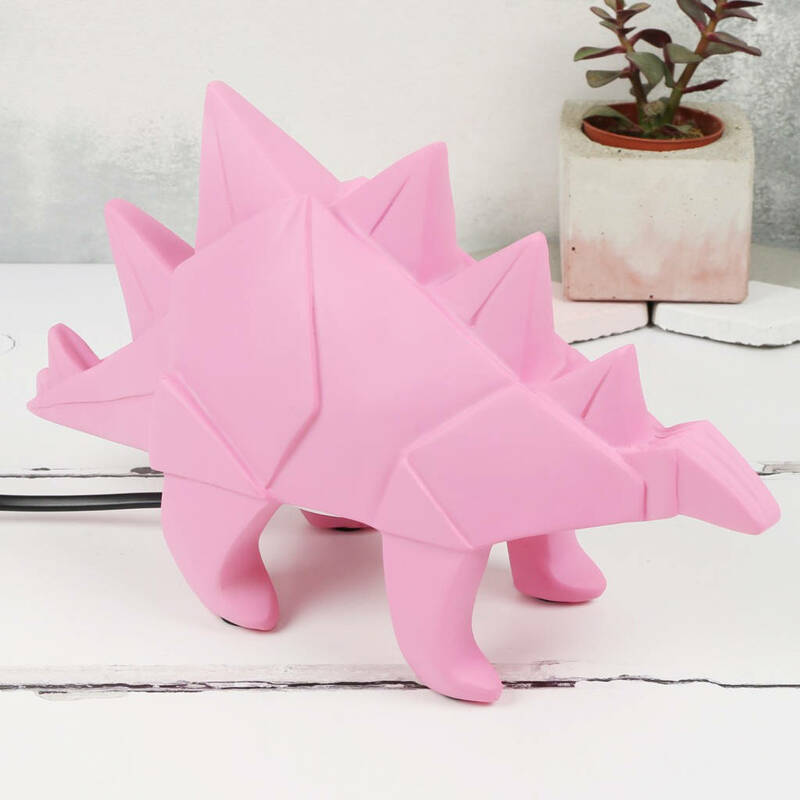 These dinosaur lamps are designed to look like paper origami, and we couldn't love them any more! 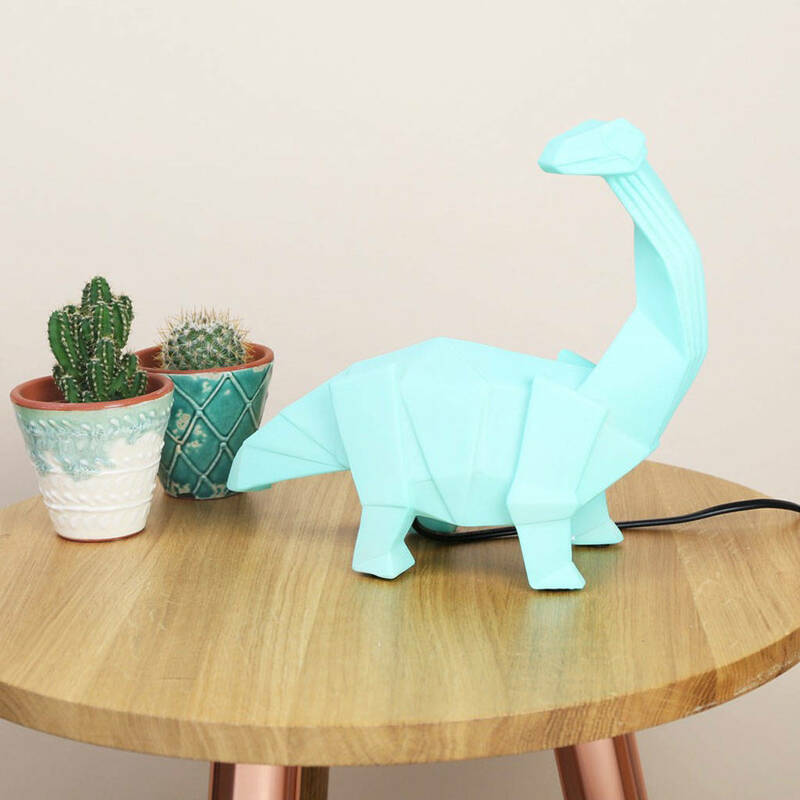 In orange, white, or green, these home accessories emit a warm glow that'll make any room feel cosier. 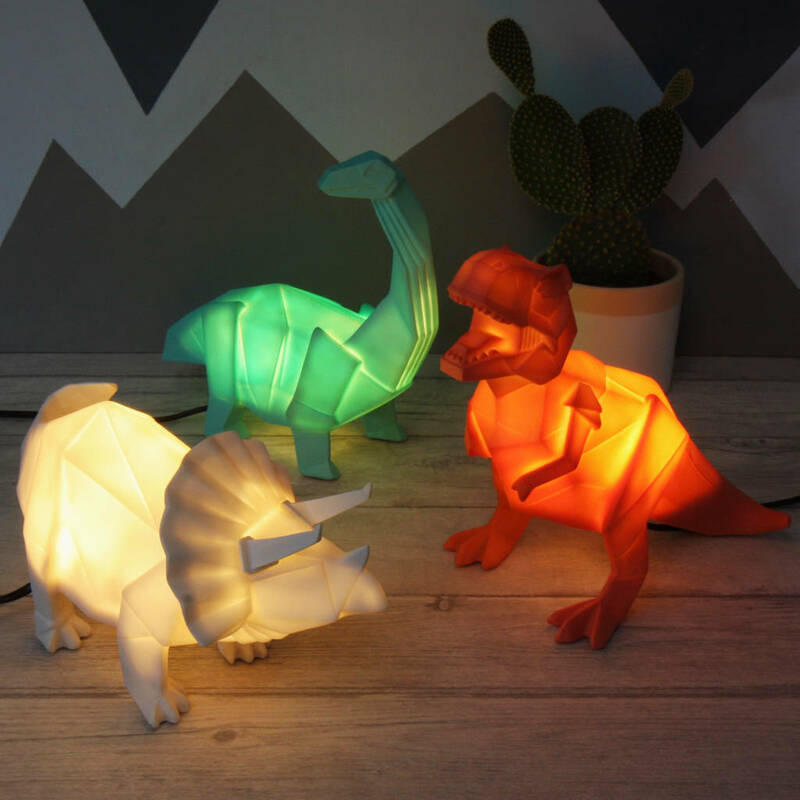 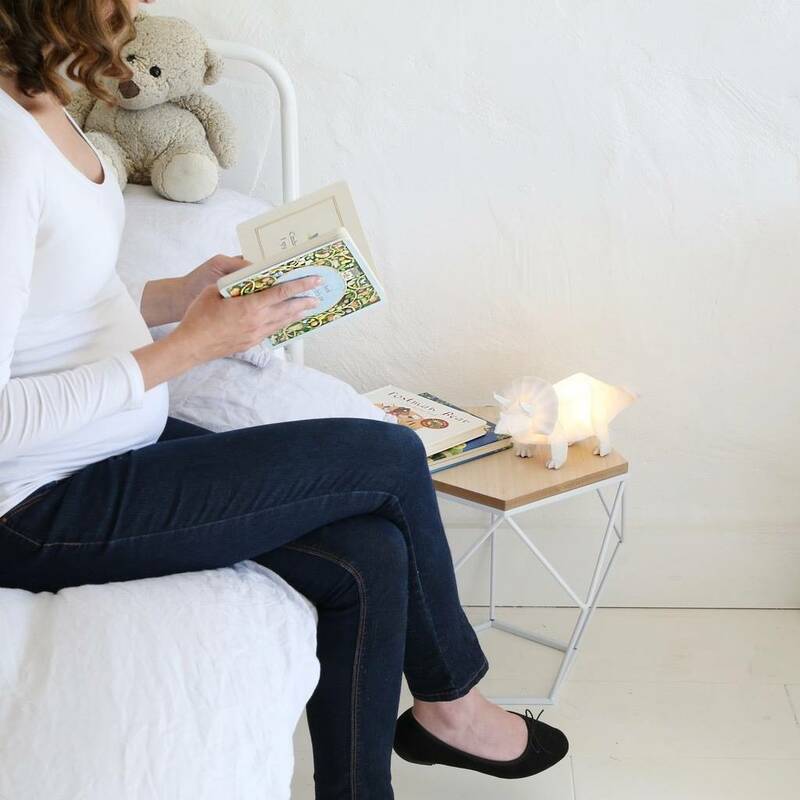 Perfect as a night light for children or a quirky lighting accessory you, these mains operated lamps are a must-have quirky home accessory. 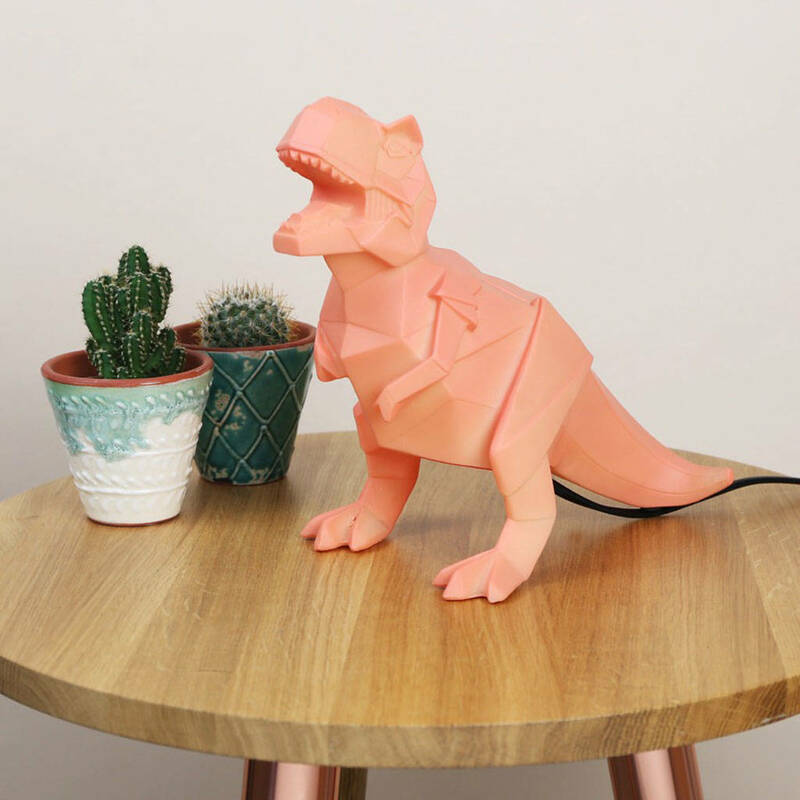 Please note: powered by a mains UK 3 pin plug.